At least seven countries set new March hot temperature records late last week. The most incredible record was Pakistan's, where it's never been so hot this early in the season. 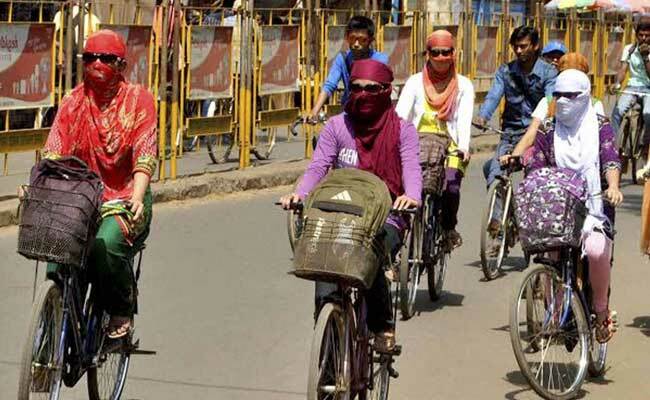 Searing spring heat ripped across parts of Asia in the last days of March, and we now know many of the extraordinarily high temperatures were indeed records for the month in at least seven countries. The most incredible record was Pakistan's, where it's never been so hot this early in the season. The late-march heat wave was expected to severely affect Karachi, the capital of the Pakistani province of Sindh. Temperatures rose well above average in the city, but the hottest weather was measured to the northeast. The temperature soared to 113.9 degrees in the city of Nawabshah in Sindh on March 30. The next day, Moenjo Daro, also in Sindh, reached the same temperature. Moenjo Daro currently holds Pakistan's all-time hottest temperature record, 128.3 degrees in May 2010. When winds shifted to come out of the southwest, it pushed temperatures in northern India well above average. Delhi soared to 99 degrees last week, which local forecasters said was the hottest so far this season. In Iraq, the high temperature was 110.8 degrees on March 29, which blasted past the former record 108.3 degrees set in 2010. At least seven countries set new March hot temperature records late last week. The World Meteorological Organization does not track monthly records, but they do investigate and confirm more significant records, like continental high and low temperatures. Even so, Randall Cerveny, the WMO's chief rapporteur of weather and climate extremes, says he will be watching this region carefully in the next few months. "The recent huge North African and European dust storms are indicative in part of how hot and dry some parts of North Africa and the Middle East have already become," Cerveny told The Washington Post. "We will definitely be keeping an eye on those areas for potential record-breaking continental or perhaps even global temperatures as we move into summer." At the very least, these new records are a reminder that - by the laws of thermodynamics - when one part of the world is exceptionally cool, another part must be exceptionally hot. Cerveny says these pronounced variations suggest the weather pattern will remain interesting for potential all-time records. As parts of Asia roast in triple-digit springtime heat, the eastern U.S. is in a very cold pattern. The month of March was colder than February across much of the Northeast and Mid-Atlantic. In the first full weekend of April, temperatures will be 15 to 20 degrees below normal from the Upper Midwest to the Southeast. A chance of snow remains in the forecast during the first days of April, despite longer daylight hours and higher sun angle.